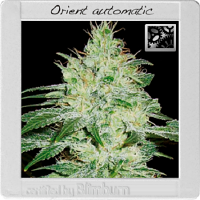 This is an autoflowering version of Siberian Haze. 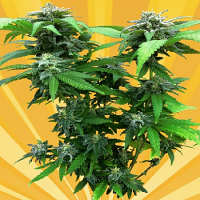 Siberian Haze Auto Feminized Cannabis Seeds by Kalashnikov Seeds: This is an autoflowering version of Siberian Haze. 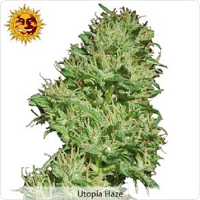 All the main qualities of Siberian Haze are retained, but with lesser amounts of Sativa and bigger amouts of CBD. Unlike its photoperiod brother, its easy to grow, ideal both for beginner, as well as experienced growers. Quite tall for autoflower plants with thick stem and elongated resinous buds. 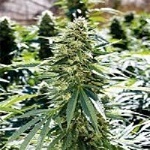 Effect is powerful, cerebral at start, slowly shifting into medicinal and relaxing. 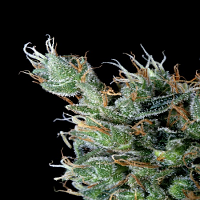 Smell is typical Haze with hints of lime.